Saw Willie absolutely dominate Minnesota Fats in a head-to-head series on, I believe, Wide World of Sports. 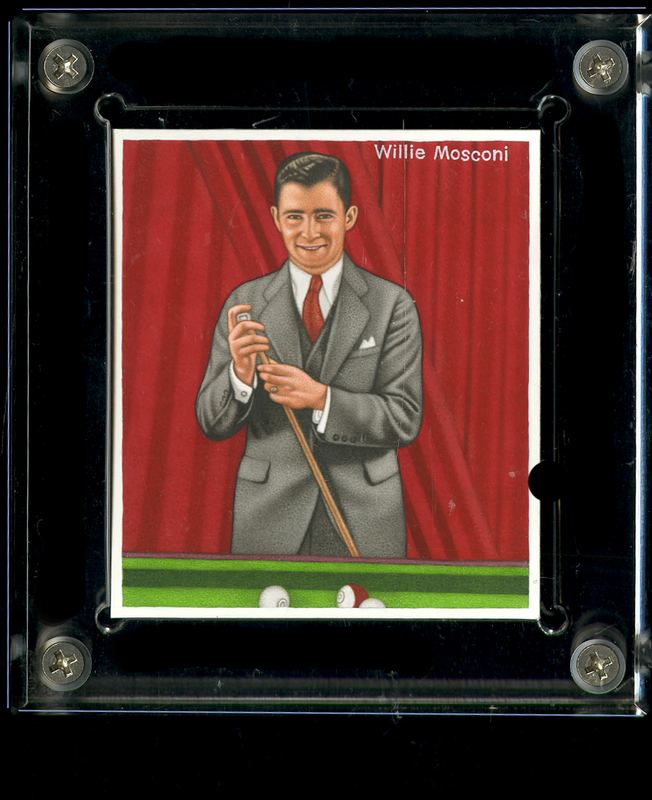 Mosconi was like a surgeon in his precision setting himself up for the next shot and the next and so on. Fats was left to wisecracking on the sidelines. Great to see both of these old-time legends get a special art card in their honor, Charles. Did you see that in person? Even on TV it would have been amazing to watch. No, it was on, I believe, Wide World of Sports. I was just a kid but I had started to visit pool halls — much to my mother’s displeasure (an Aunt had spotted me slipping into one and ratted me out to my Mom.) ; ) I had borrowed a book on billiard techniques written by Minnesota Fats (it was pretty good) but later learned Willie was the master technician and, truly, the King of the Felt in his era. Fats, of course, was made famous by Jackie Gleason and the movie “The Hustler” and was, therefore, a bigger name than Willie.